MONTREAL TRAVEL GUIDE: 24 Hours in MTL Itineraries. Montreal is one of Canada's culture-rich gems, and I'm so excited to be sharing a little travel guide to this city here on Southern Belle in Training today! Growing up in Maine, I was lucky to travel to the province of Quebec for long weekend trips several times during my childhood, and later high school years. Quebec City is about 6-ish hours from where I grew up in Southern Maine, and Montreal about the same. My mom's side of the family is of French Canadian descent, and I studied French in grade school as well, so I always enjoyed visiting these cities in Canada with my family and getting to see a bit of my heritage. It had been a few years since I'd been anywhere in Quebec when I moved to Vermont, but one thing that I was very excited about with this move was being so close to Montreal! Montreal is just under two hours away from Burlington. It's very doable for a day trip, but if you are able to spend a weekend there you can do so much! My former roommate Ciera was here visiting earlier in July, and I was able to arrange my work schedule for us to spend a night together in Montreal. Originally we were mainly going up there for a concert, but that unfortunately ended up getting cancelled and rescheduled (for this fall) the day of! Since we didn't end up having a show to see, we were able to cram a lot into our 24 hours north of the border! Something to keep in mind- you do of course need a passport to visit Montreal! If you're from Vermont of a handful of other states with the Enhanced License program, you can also cross the border by land with your Enhanced Driver's License (which I now have). However- not all states offer an Enhanced License, so be sure to check on what you have and make sure your passport is valid before planning your trip! My dad kindly booked our hotel stay at the Residence Inn Marriott Montreal Downtown! Ciera loved the hotel... I thought it had a few pros and also a few cons. Pros: GREAT location! Very walkable to a lot of the downtown attractions, and it was located near several safe residential neighborhoods as well. This hotel also had one of the best free breakfast buffets that I've ever seen! The selection of food was unbelievable, and everything was so delicious. Our room itself was a full suite and even included a mini kitchen, so it was definitely more than big enough for the two of us! One major con to this hotel for me though were some serious noise issues. I was awoken at 3 am from a large group of people shouting in the hallway outside our room and slamming their doors. When that noise finally calmed down, someone in the room above us started showering (despite it being 3:30 am? ), and the pipes/shower sound was so loud that I couldn't fall back asleep until that all ended. Ciera is a really deep sleeper so she slept through everything, but even after putting earplugs in I was still bothered by the hall noise and the shower sounds from upstairs. I'm not sure I'd want to stay here again after dealing with the noise, but the location, room itself, and breakfast were all great, so if you're a deep sleeper (or bring earplugs and a white noise machine 😉) you could love this hotel! Bier Markt (1221 Rene-Levesque Blvd. W): If you're looking for beer and Belgian food, this is your destination! I actually ate here with my friend Mercedes when we were in Montreal for an evening a couple months ago for a concert. This restaurant is just a couple of blocks away from the Bell Centre, so it's a great choice for a pre-show or pre-game meal if you're in town to catch an event at the Bell Centre. Bier Market is not surprisingly known for their vast beer selection, but they also have a pretty big menu of Canadian, American, and of course Belgian favorites! I decided to branch out and tried fondue while I was there, and I really enjoyed it! Nos Thes (1609 Saint-Catherine St. W): This is a Taiwanese restaurant and tea bar! I am obsessed with most Asian foods, and especially love bubble tea. It's one of my favorite treats to try and find when I travel. Nos Thes did not disappoint! Ciera and I found this place when we were strolling along Saint-Catherine Street, right around the time that we were ready for an afternoon pick-me-up. She ordered a bubble tea, and I had a strawberry bubble tea. We took them to go, and both were just fantastic! The atmosphere of the restaurant part of Nos Thes was very cute and modern- I'm sure it's a great place to enjoy a full meal also. 3 Amigos (1657 Saint-Catherine St. W): Montreal is probably not a city that you would associate with Mexican food... however Vermont has a real lack of authentic Mexican food, so when Ciera and I walked by this delightful looking restaurant, I knew that my quesadilla cravings needed to be satisfied! We ate there on a weeknight, and it was actually very busy! Both the indoor and outdoor seating areas were bustling. Ciera and I were both so impressed with the food. Both of our entrees were delicious (not surprisingly, I ordered a quesadilla! ), and we also split a small pitcher of sangria, which was refreshing and the perfect summer drink. However, we were not impressed with the service. 3 Amigos seemed to be very understaffed for the amount of patrons that they had eating there that night, and our dinner experience took almost two hours. Near the end of the meal, our waiter seemed to forget about bringing the bill to our table, and that is always a frustrating experience. I would definitely recommend this restaurant for the food, but try and go when it's not as busy! Tim Hortons: Basically the Dunkin' Donuts of Canada! Is it even a trip North of the Border if you haven't gone here? I had to ensure that Ciera tried her first Tim Hortons during our 24 hours in the city, and there are no shortage of Tim Hortons in Montreal to pick from! Explore the Underground City (RESO): Montreal has one of the largest "underground cities" in the world. Meaning that in addition to their metro system, they have tons of other things underneath the city! Everything from malls to restaurants to nightclubs, and even a library! Montreal's underground network is called RESO, and it is 32 km in length. Ciera and I didn't have a chance to go into RESO at all in our overnight trip, but there really is so much to see below ground as well! My mom and I explored a little of this when I went in high school. I think this would be a great thing to explore if you are visiting Montreal during the harsh winters! This website has some great information about Montreal's Underground. St. Lawrence River Cruise: This was something else that my mom and I did on our trip several years ago. I love boats and being on water, but I do get seasick so it's hard for me to be on boats in the ocean. That's why I jump on any chance I get to be on boats in rivers or lakes, as there is much less chance of seasickness! Doing a daytime river cruise up and down the St. Lawrence River was such a fun way to take in the Montreal skyline, and enjoy a beautiful day (My mom and I went in mid-August). Here is the website with information about river cruises! See a concert or hockey game at the Bell Centre: This was the reason behind my two recent trips to Montreal! Vermont doesn't have any large concert venues, so Montreal is the closest destination to see large-scale shows. A big pro to buying concert tickets in Montreal is the current Canadian-American dollar exchange- it's currently in our favor, so you will save about 20-30% buying concert tickets to see your favorite artist in Canada vs. what you would pay in the US! And if you're more of a hockey fan, you can catch a home game for the Montreal Canadiens during hockey season! Shopping on Saint-Catherine Street: I love shopping when I travel. Not just because I love to shop, but because I really think checking out a city or town's local mall or shopping district gives you such a feel for the area! Plus, it's always fun to find some local treasures or new stores that you don't have in your home area. Anyways, Montreal's main shopping street, Rue Saint-Catherine, does not disappoint! You can find everything here, from Canadian department stores, luxurious international brands, familiar American stores, to bargain chains. It's a hub of all kinds of good shopping, with a true city chic feel! When we found out our concert was cancelled, Ciera and I spent most of our night shopping and exploring Saint-Catherine. She picked up some goodies at Canadian store Roots, and I was delighted to find a big location for one of my favorite stores, Zara! Visit the Montreal Botanical Gardens (and Biodome! ): I am a lover of visiting botanical gardens. It might actually seem a bit ironic as I have approximately 0% of a green thumb myself and tend to kill any plants that I come into contact with, but I definitely appreciate beautiful plans, and love visiting gardens that are full of them! Out of all the botanical gardens that I've been to, the Montreal Botanical Gardens are by far the most fantastic! My mom and I first visited there on our trip several years ago, and I knew that Ciera and I had to go back to explore this amazingly beautiful place. The Montreal Botanical Gardens features over 20 different themed gardens, and is recognized as one of North America's best gardens. If you do only one thing in this whole travel guide, make this the stop that you visit! I promise it will not let you down. Also located very close to the Botanical Gardens is the famous Montreal Biodome. This is a unique nature-based museum that features replicas of four different ecosystems. I did visit the Biodome on my past visit to Montreal and it was great as well, but if you're only in the city for a short time and don't have time for both, I would recommend the Botanical Gardens over the Biodome (if the weather is good!). And that concludes my 24 hours in Montreal travel guide! I am hoping to make even more trips to explore Montreal while I still live in Vermont! Being just under two hours away from this city definitely is a great perk of living in Burlington. To finish off today's post- I have a little blog survey about upcoming travel content which I would be so grateful if you could take! I promise it will take less than five minutes to complete! 😊 I want to make sure that you're all finding the travel content that I write to be interesting and beneficial. 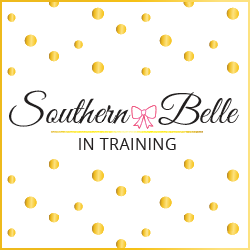 Before starting travel posts about my new home in Vermont and some new posts about my hometown in Maine, I would love to hear your thoughts on what type of travel content you would and wouldn't like to see here on Southern Belle in Training! Here is the link to the survey- thank you in advance!! I'm going to need this, we're headed up there in October for our mini-moon! Such a great round up! The Botanical Gardens is one of my favorites, it's so beautiful! Glad you had fun! A hotel with a great location is a must! Especially when your trip is shorter and you need to get around! I've been wanting to visit Canada! This looks like such a fun trip! Thanks for sharing, I loved your photos! I'm so jealous you got Tim Horton's! I could go for an ice cap. My husband just got back from his family cottage in Quebec and brought home lots of poutine gravy for us to cook at home! My favorite thing to do in Montreal is rent a Bixi and ride bikes around the canal! It looks like you had a wonderful trip! I'll have to save this in case I wander up there sometime! It looks like you have a great trip! I like all of the suggestions for a trip to Montreal. Your post will be a good reference for anyone plannin a visit. So sorry your concert got cancelled, but it looks like you still managed to have such a fun time! I visited Niagara Falls last summer and had such a good time. I would love to explore more of Canada some day! Montreal looks like such a fun city! I've only ever visited Canada once (Vancouver) and I loved it, Montreal will definitely be my next Canadian stop! I visited in high school and remember really enjoying Montreal! I'd love to get back now as an adult! I've always wanted to go to Canada, especially after watching Degrassi. Haha! This definitely makes me want to plan a trip. My mum keeps telling me I need to visit Montreal! She loves Canada and tries to go there for vacations as much as possible!